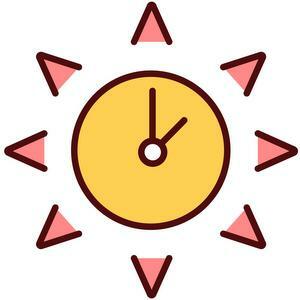 Usage notes: Daylight saving time* is a twice annual, manual time change that occurs in about half of the world. The dates and details vary slightly by country** but the basic idea is the same: in the wee hours of a spring Sunday – in March or April – clocks are set forward by one hour, stealing 60 minutes of sleep from citizens that morning. Quand est-ce qu’on passe à l’heure d’été cette année ? When do we set the clocks forward this year? N’oublie pas qu’on va passer à l’heure d’été dimanche matin ! Don’t forget to set your clock forward Sunday morning! The corresponding fall time change is much more welcome, as it restores that stolen hour of sleep. * Yes, "saving." Despite its omnipresence, the phrase "daylight savings time" is incorrect. 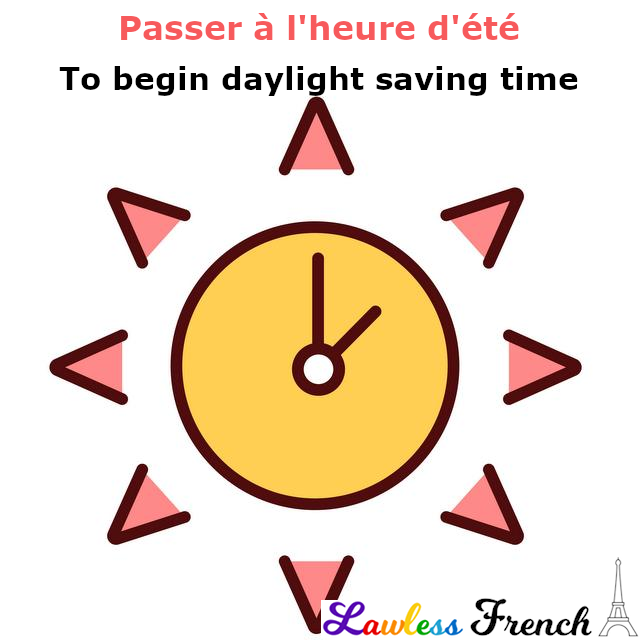 ** In Metropolitan France, daylight saving time begins at 2 am on the last Sunday in March and ends at 3 am on the last Sunday in October – find out the dates. For other countries, see Daylight saving time around the world.